Performance MetaLES - Bryn Oh from Ux Hax on Vimeo. Ux Hax is a very talented individual who I spoke to about a month ago in order to set up an inaugural exhibit for her new performance space called MetaLES. The location is for promoting culture and art in the Metaverse. Performances are always accompanied by special music for the event. Each month there will be a new person exhibiting and it will likely be quite varied from builds to music to performance. 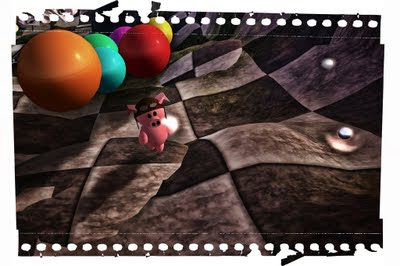 This below is the slurl to what I created which pretty much was just me playing with ideas. The avatar interacting with the build. It involves some navigating and chaos to begin then ends with a calm environment to spend a bit of time in. It is almost an assemblage of parts to create a non traditional environment for the avatar. Inside the bee is sky setting to go with it which you can see in Ux's machinima (love the music in it btw). Ux if you read this post then look up the Space navigator 3D mouse you will love it. On the same sim (actually right behind where you arrive) is a tp to an amazing music build done by maria Grot and Ux Hax called Geometry of Sound. It is a build where you can pretty much compose music while standing there. Clicking on things will begin loops which you can compose to. Definitely go have a look at this creation. Keep an eye on MetaLES I think it may turn out to be a great new performance space. I also have a soft spot for Ux because she ran the Avatar Games the other night and was awesome. I will post the video of the last running of the games in a few days when I get it sorted out. 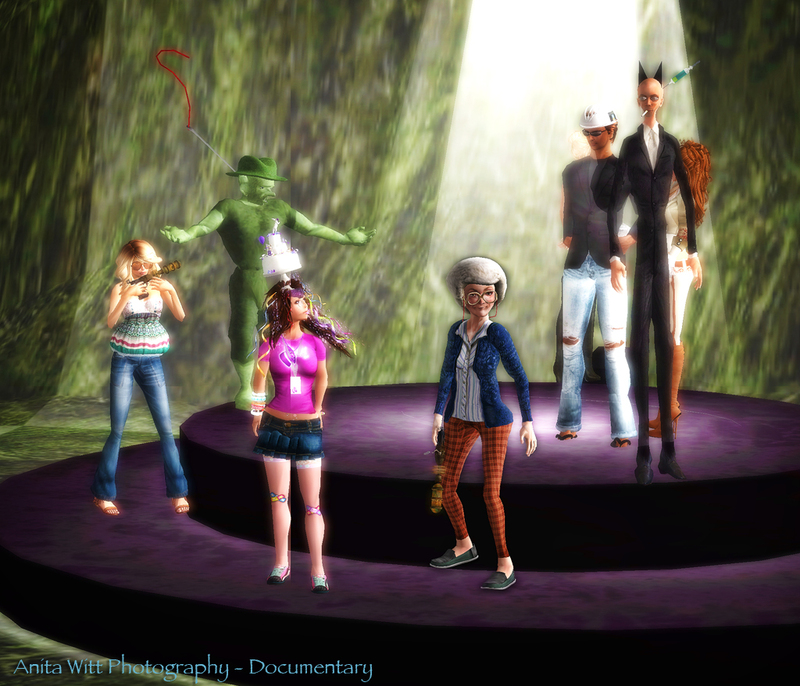 I will be filming contestants for the LEA Avatar Games as well as the audience this Monday at 4pm second life time. There have been some really hilarious events so far with both Crap Mariner and Honour McMillan doing wonderful commentary by voice. Some of the costumes have been ridiculous so I really do have to start filming them. This is the landmark to the event. If you would like to run the obstacle course then sign up here... SIGN UP or contact Galea Yates or Taralyn Gravois in world. These are some of the current fastest runners for the season so far. Also if you get some good photos let me know and I will post them as I will update the standings every three weeks or so. Below and to the side are some great pics by Anita Witt. If you happen to be passing through Paris, France on Monday, Tuesday or even Wednesday the 22nd of June (which you likely are) then please stop by the 2011 Web3D ACM Conference. It's a fascinating event with speakers, workshops and tutorials ranging from augmented/mixed reality, Collada and WebGL to Second Life artists. Cocktails are even supplied by SIGGRAPH. The first day starts off with a talk by multimedia artist Yann Minh. He has won several awards for his artistic creations in the fields of contemporary art and cyberculture12, Yann is a multimedia artist and writer of science fiction cyberpunk, founder of Noonautes, New cyberpunk movement, as director in video art and documentary covering TV, 3D artist, Director 3D, illustrator, filmmaker, writer and photographer, lecturer and teacher specializing in cyberculture and persistent worlds. It is often described as a cyberpunk NooConteur. He will be presenting his work a 3D reconstruction table Velasquez, Las Meninas. I will go on next and present my work Anna's Many Murders to those attending. 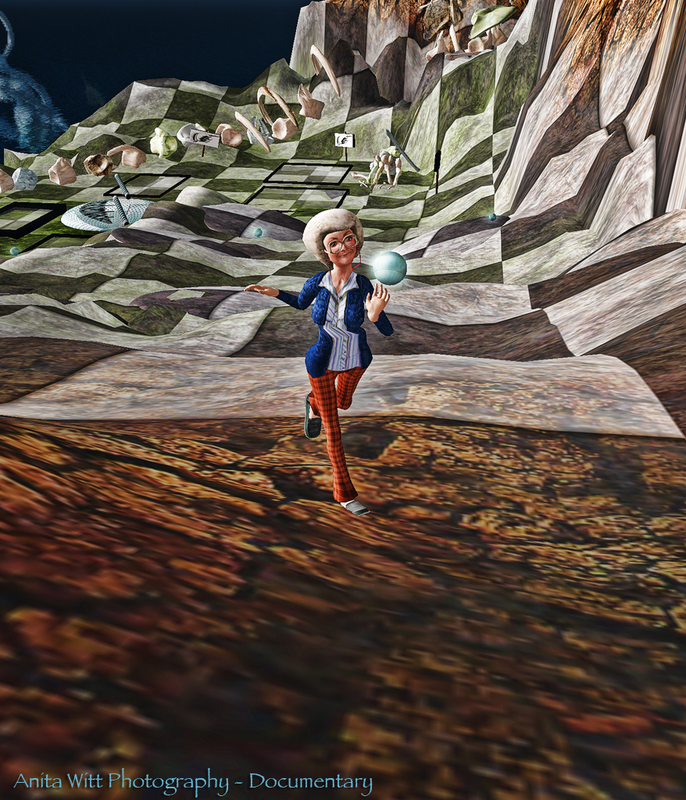 I will likely talk about virtual worlds as a new medium for artists. 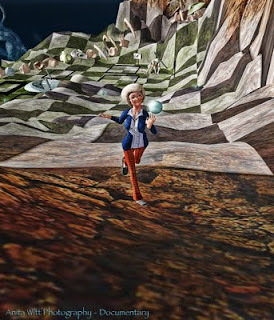 About virtual identity and my personal movement Immersiva (based on creating immersive narratives in 3d environments). I haven't actually written out my talk yet but shhhh don't tell. The following day will have Tutsy Navarathna who will present his machinima "A Journey into the Metaverse," co-winner of the international competition MachinimUWA 3. Later in the day on Tuesday Anne Astier will speak on his project Flower of Life. Following Anne it will be Patrick Moya to introduce the islands and the Cannes Carnival Moya Project. The annual Web3D ACM Conference is a major event which unites researchers, developers, entrepreneurs, experimenters, artists and content creators in a dynamic learning environment Attendees share and explore methods of using, enhancing and creating new 3D Web and Multimedia technologies such as WebGL, X3D, VRML, Collada, MPEG family. U3D, Java3D and other technologies. The conference also focuses on recent trends in interactive 3D graphics, information integration and usability in the wide range ofWeb3D applications from mobile devices to high-end immersive environments. Sixteenth in the series, the 2011 International Web3D ACM Conference will address a wide range of topics about 3D on the World Wide Web and on Multimedia Devices. Topics include: tools, object retrieval, rendering, modeling, distributed virtual environments, exposing large-scale databases, Web-wide human-computer interaction, and innovative applications (as Serious Games, E-Learning ...). The 2011 Web3D ACM Conference will present the Web3D ART Exhibition. The Web3D ART spins the boundary between art and science. The Web3D ART group will present the Web3D ART retrospective as well as the exhibition of new Virtual Storied Worlds and Poetic Spaces creations. Students, recent graduates, orthose preparing to enter college are encouraged to submit work themed on poetry using interactive 3D technology. The Web3D Consortium is a member-funded industry consortium committed to the creation and deployment of open, royalty-free standards that enable the communication of real-time 3D across applications, networks, and XML web services. The Consortium works closely with the ISO, MPEG and W3C standardization bodies to maximize market opportunities for its membership. It was with sadness that I heard the majority of AM Radio's sims would be taken down in 5 months from now. They have, up until now, been supported by IDIA Lab at Ball State University. They deserve a great deal of credit for recognizing the arts in Second Life and supporting AM monetarily for so long. When we look back at societies over the centuries many are defined by their art. Ancient Greece, the Empire of Rome to the more modern Italian Renaissance masters. France with their Salons and America in the 50's onward. It is not always the case yet in many ways a society in their peak produces great art. Yet what happens when a society is in decline? are the arts the first to go? I don't think the United States of America is in decline. They are definitely struggling yet so is much of the world. However, not long ago I read that Gov. Sam Brownback had completely eliminated funding for the Arts in the state of Kansas. The rationale was that in times of struggle they must essentially tighten their belts and remove the things which were not considered essential. If the health of the arts do define a society then the first sign of decay in the USA would be Kansas. It may be a blip or perhaps signs of things to come. Second Life is also a society, yet more difficult to encapsulate. Its citizens are made up of people from around the world. Its users are from both strong nations and weaker. But it is a community and I believe it may eventually be defined by its arts. It could be argued that Second Life is a type of country. It has a population, an economy and virtual land. It also has to deal with the worlds recession. AM's work is some of the most beautiful and important in Second Life, it's loss will not just diminish Second Life aesthetically, it will also mark the departure of one of its great innovators. 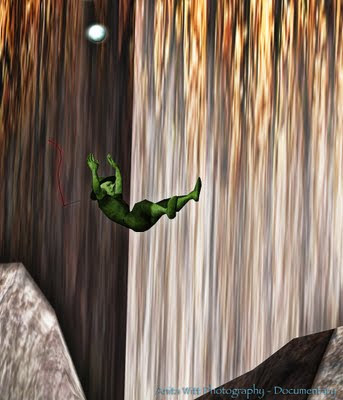 If you look around at many of the sims in Second Life today, if you look with a builders eye, you will see that many of them are directly influenced by AM's work. This post is part of my top ten favorite builds from last year, and normally I would speak on the reasons for this, the techniques used etc, instead I would like to focus on one solution to my fears of decay. About a year ago I was approached by Pathfinder Linden to see if I would be interested in placing some of my work on Linden land. I agreed and went to see the parcel. It is called Pomponio Volcano and it's in Davenport. I imagine it was terraformed in 2003 when they wished to create mountains and forests etc to provide an environment for their new virtual world. It was a sensible idea yet as time passes we can see that a sim of a simple volcano does not really amount to much. I understand the reasoning and I would have initially believed the same thing I expect, yet in hindsight simple terraformed land would be better used as art destinations. Using barren linden land for art would keep works like AM's in world and preserved and would create destinations for new users while populating deserted regions. Anyway, it seems like a good idea to me. I know its likely much more complicated, for example just finding all the empty plots of linden land would be a time consuming chore in itself. Determining who gets to be preserved on these lands and who doesn't would be a nightmare for someone as they would become a target for the angry rejected artists. It wouldn't be easy but its something to think about.